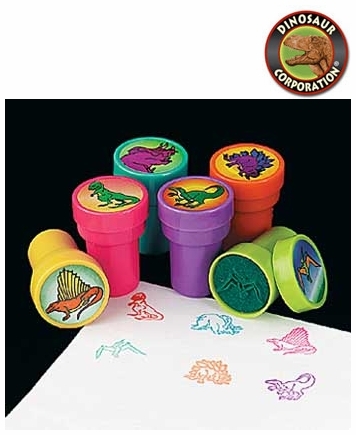 * Dinosaur Stampers makes a perfect activity for kids to create prehistoric scenes with these plastic dinosaur stampers. * A fun way to add a roar of color to your scrapbooks, notebooks and greeting cards. * These 1 1/2" colorful stamps also make fantastic favors at dinosaur birthday party or after the museum field trip.